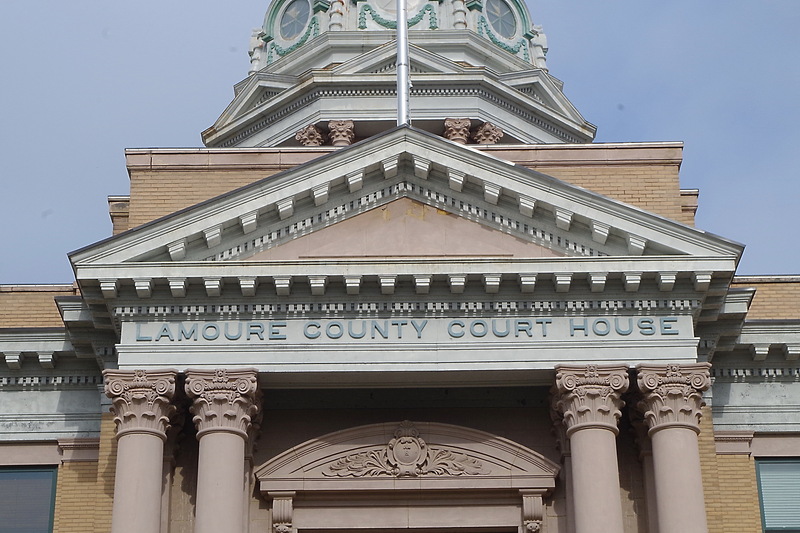 LaMoure County is named for Judson LaMoure of Pembina, North Dakota ( 1839-1918 ), who served the first of many terms in the Dakota and North Dakota legislature. 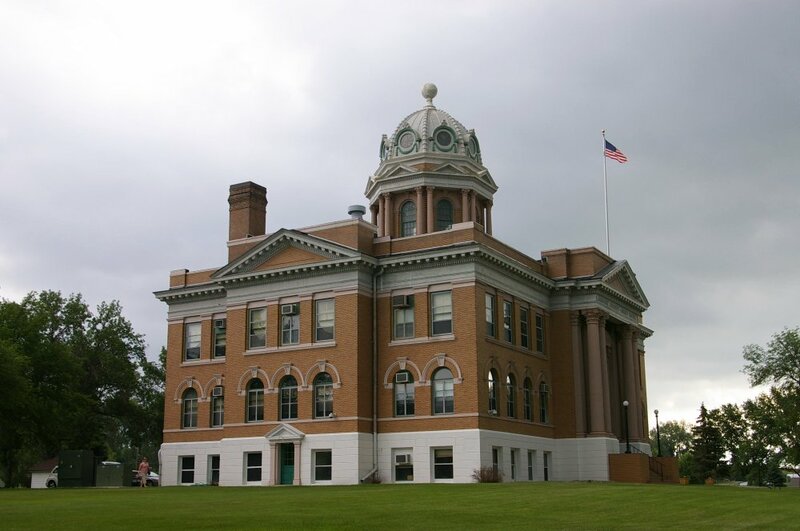 Description: The building faces south and is a is a two story dark colored brick and concrete structure. 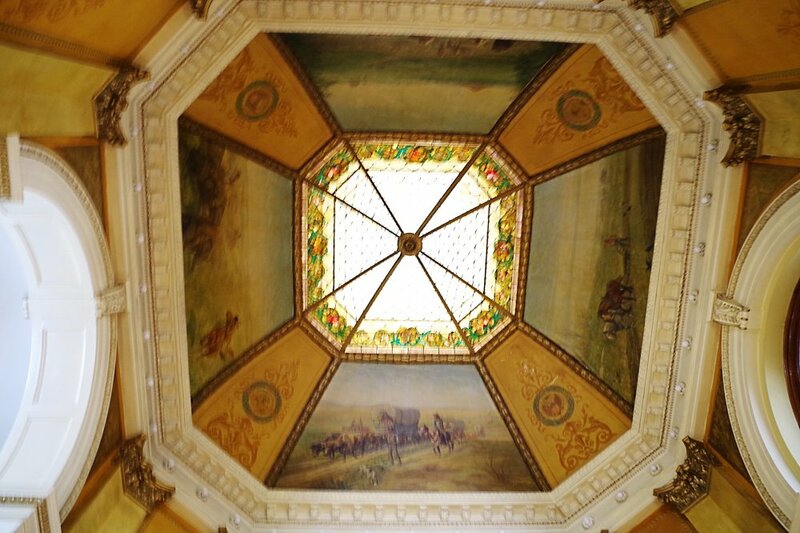 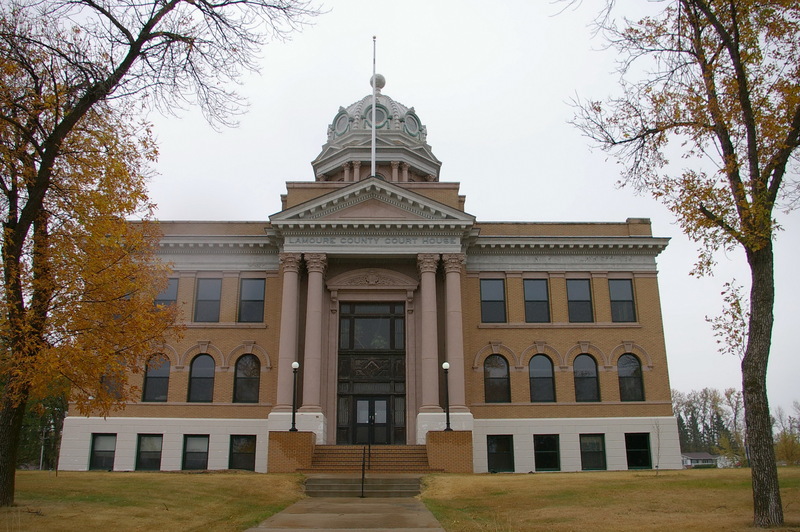 The building is located on spacious landscaped grounds on the north side of the center of the city and is a classic rectangle structure with octagonal central dome on the roof. 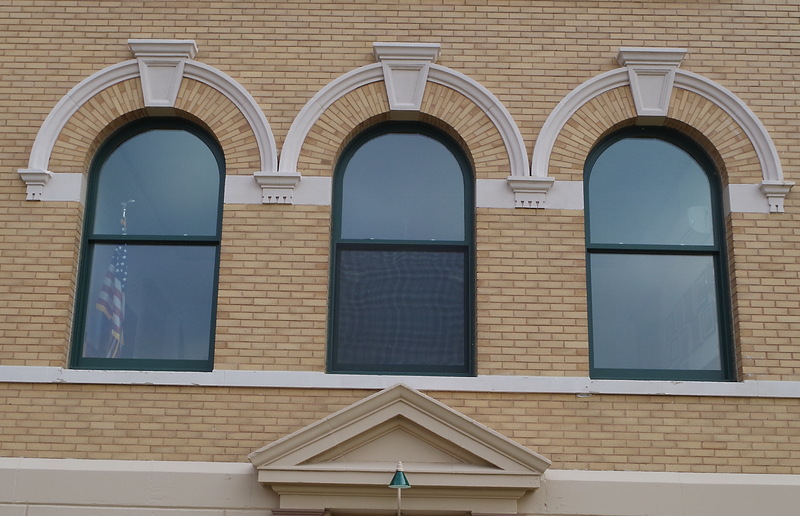 First floor windows are hooded with a corbeled arch surround with exaggerated keystone; second floor windows are lentiled between single pilasters. 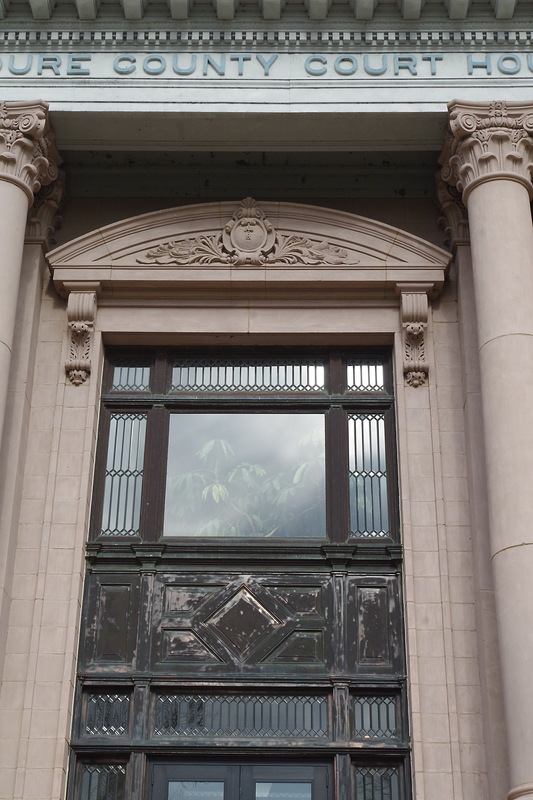 The front facade features paired Corinthian columns behind which are paired stone pilasters, and a two-story entrance surround with ornate hood. Original leaded glass, woodwork, and hardware remain in the front entrance. The metal-covered dome has a bull’s-eye window on each vault plane, exaggerated ribbing, and a ball finial. 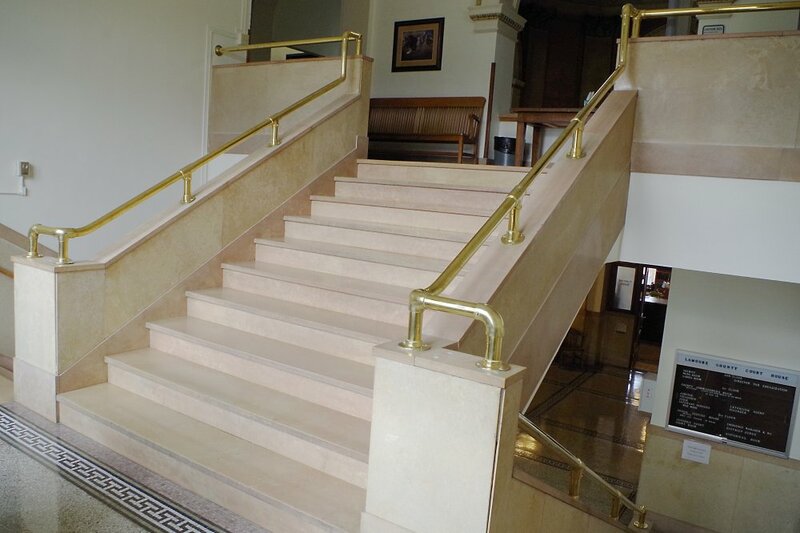 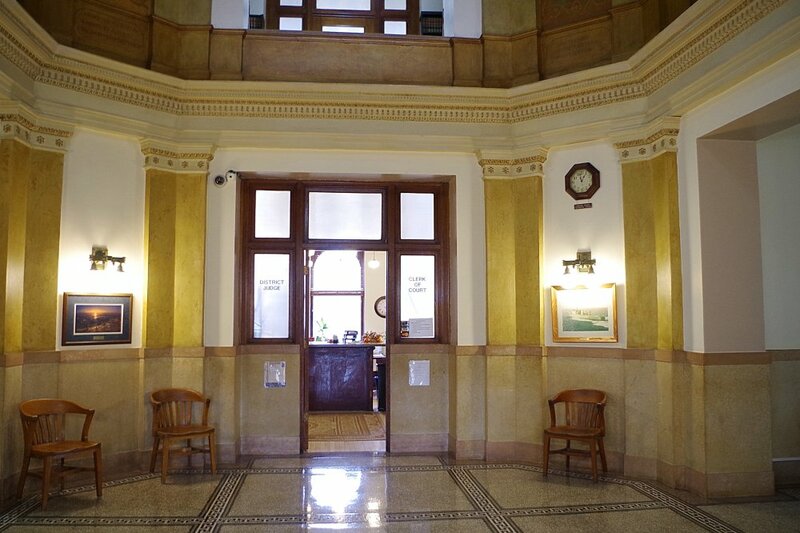 In the interior the front entrance, stairwell, and ground floor hallways have a gray colored marble wainscoting. 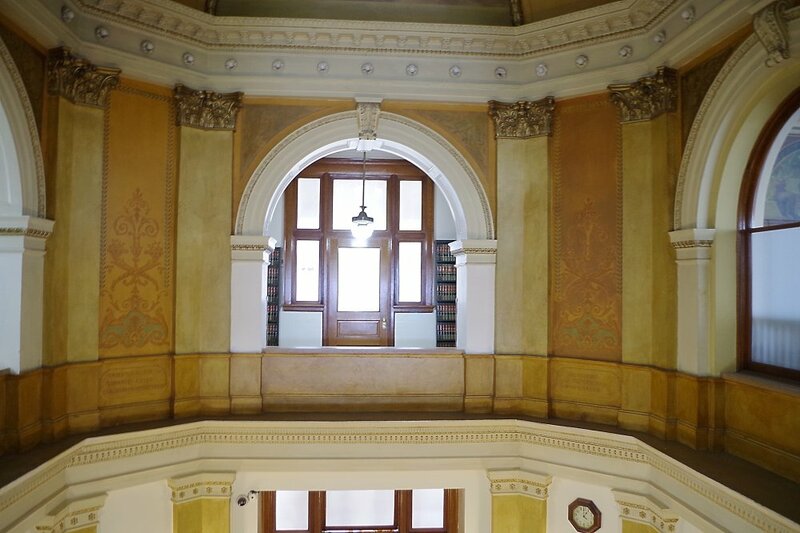 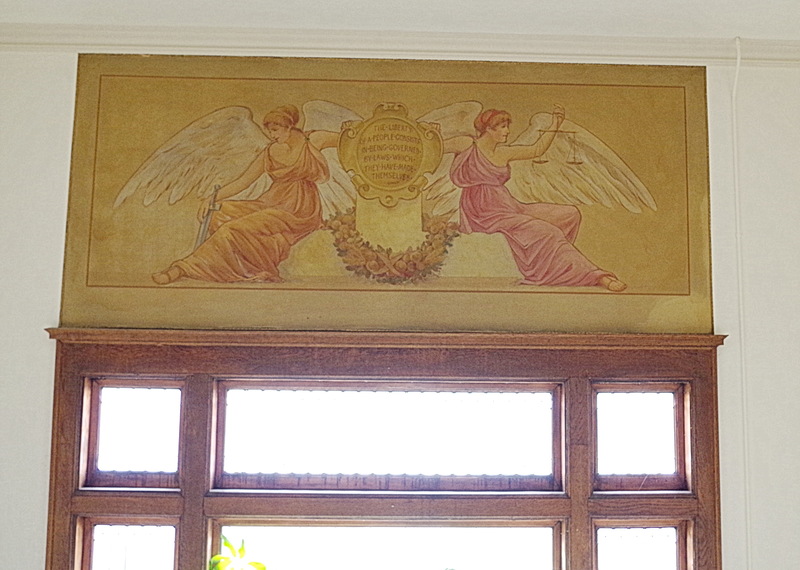 A mural decorates the area immediately above the window on the second floor landing, and another mural exists in one room of the Auditor’s office. 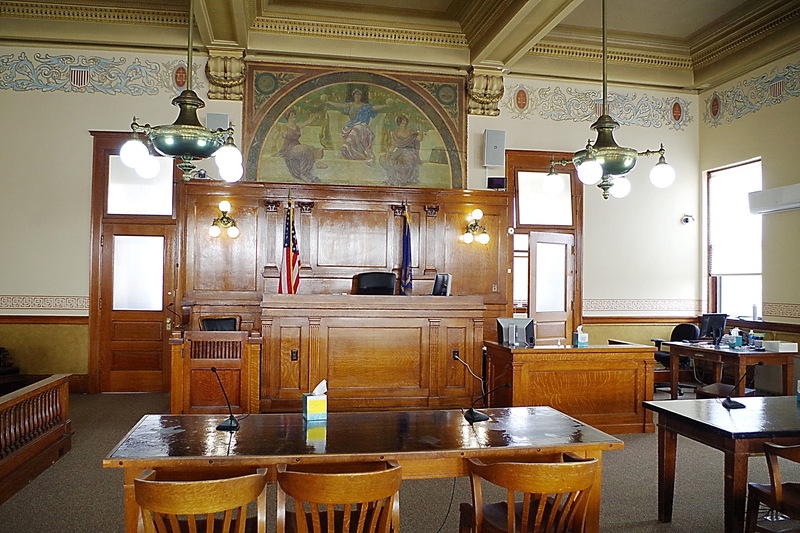 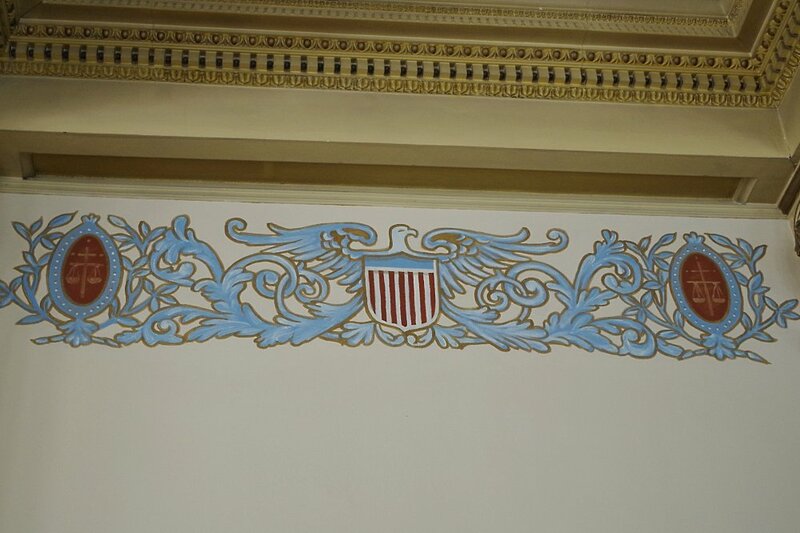 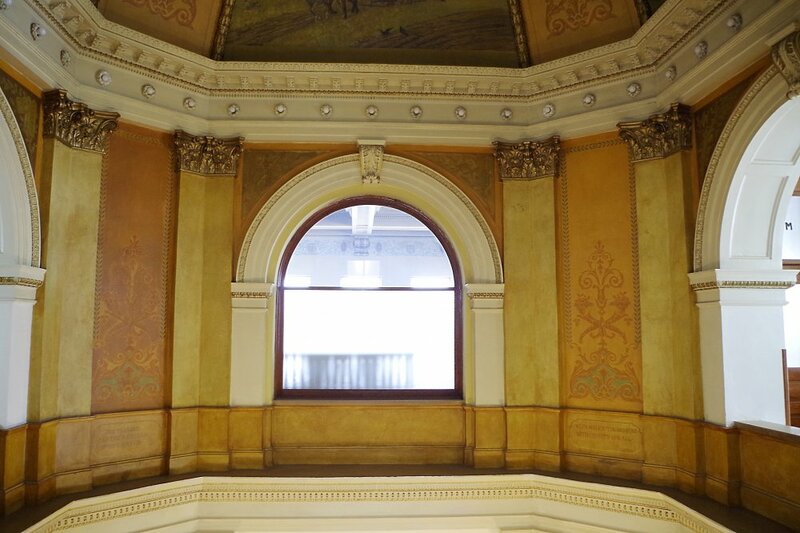 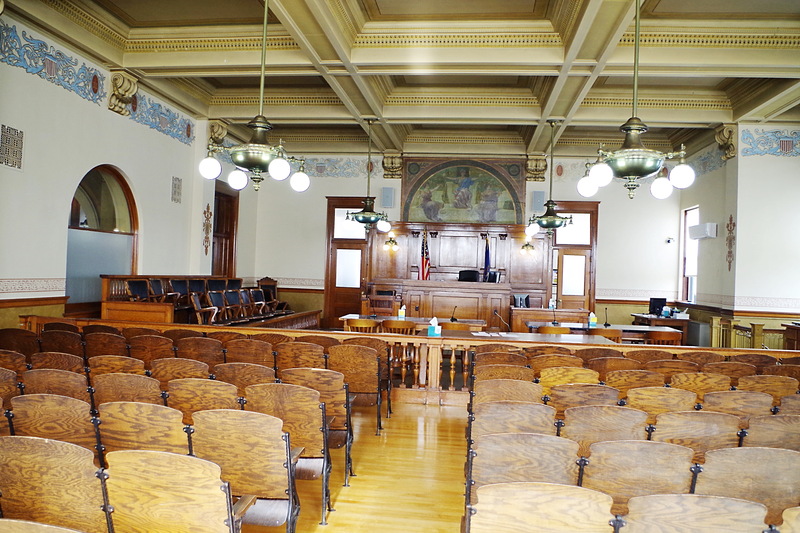 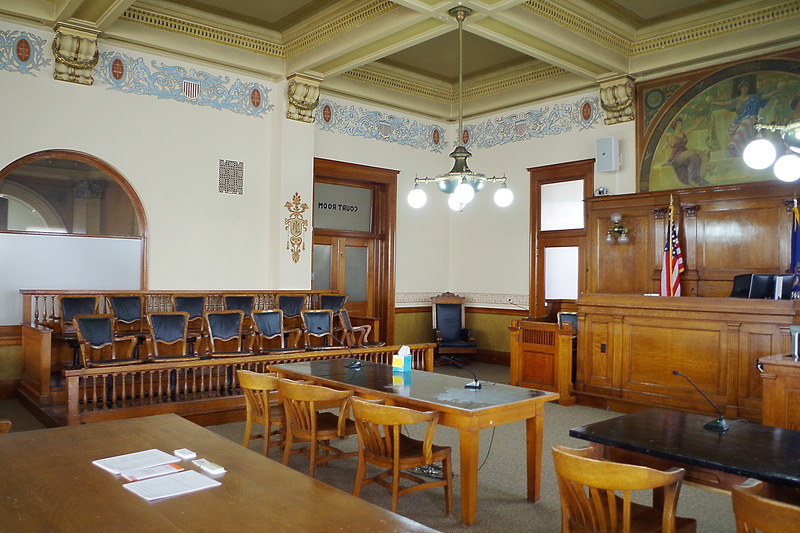 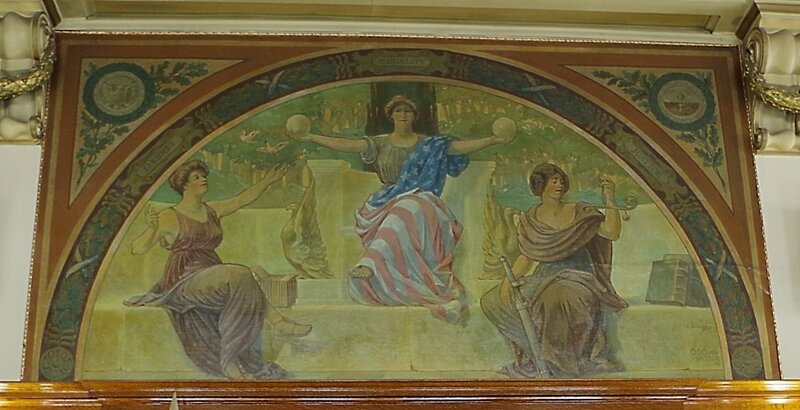 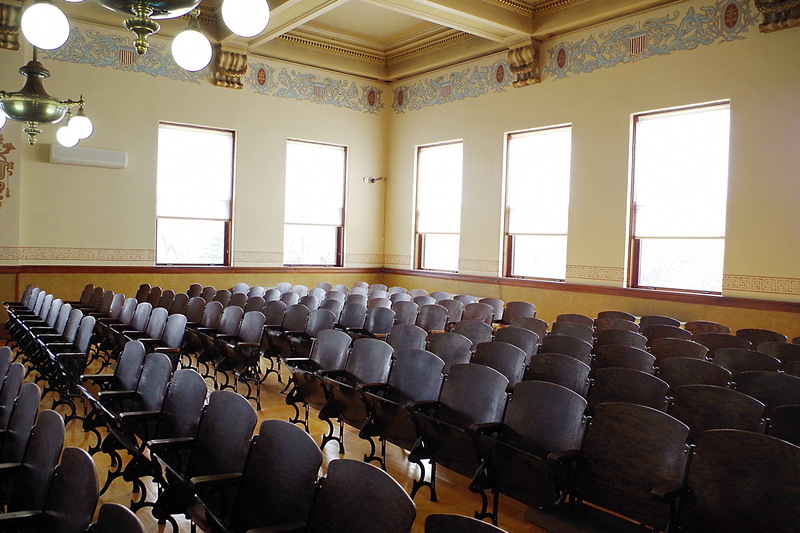 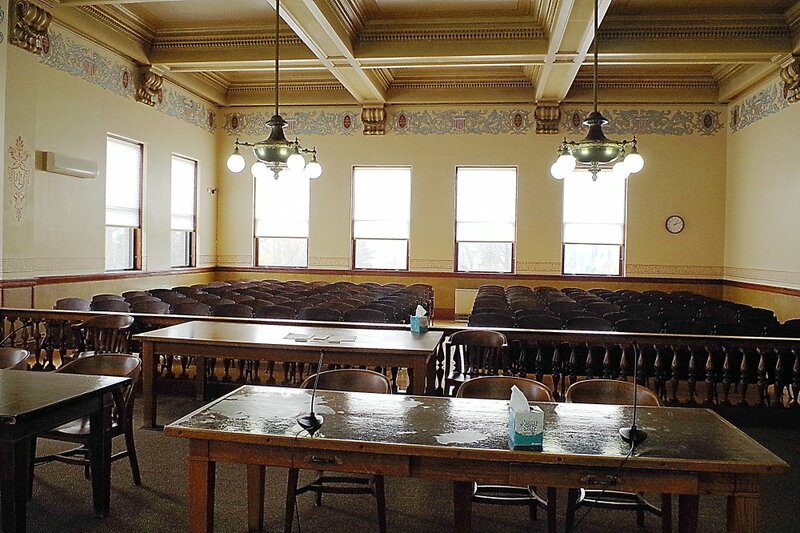 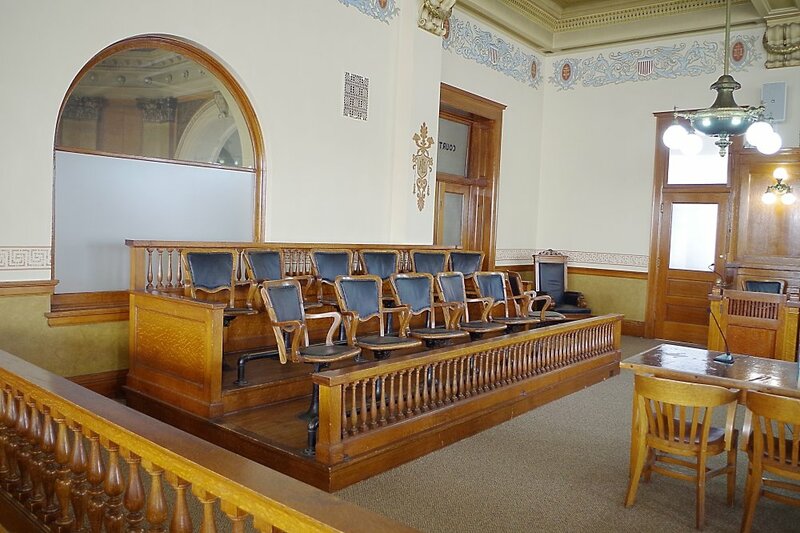 The courtroom located on the east side of the secons story contains extensive stenciling on walls just below a deeply coffered and highly enriched ceiling. 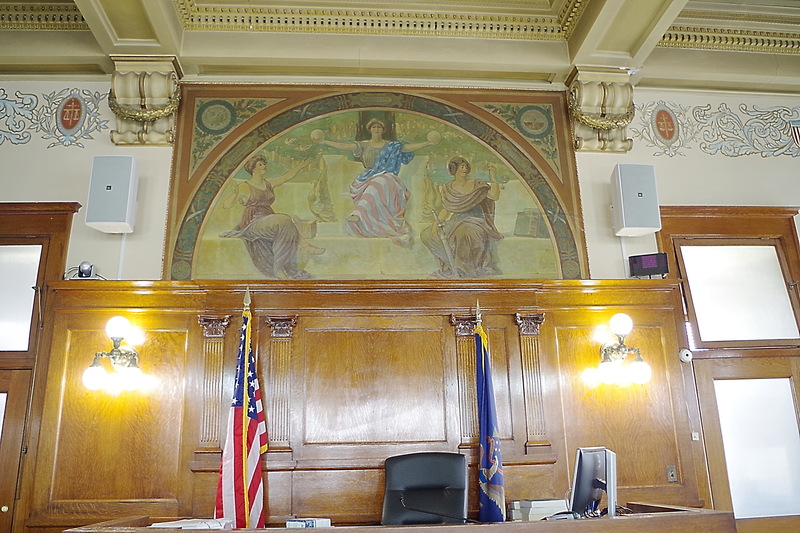 There is wainscoting in the courtroom. 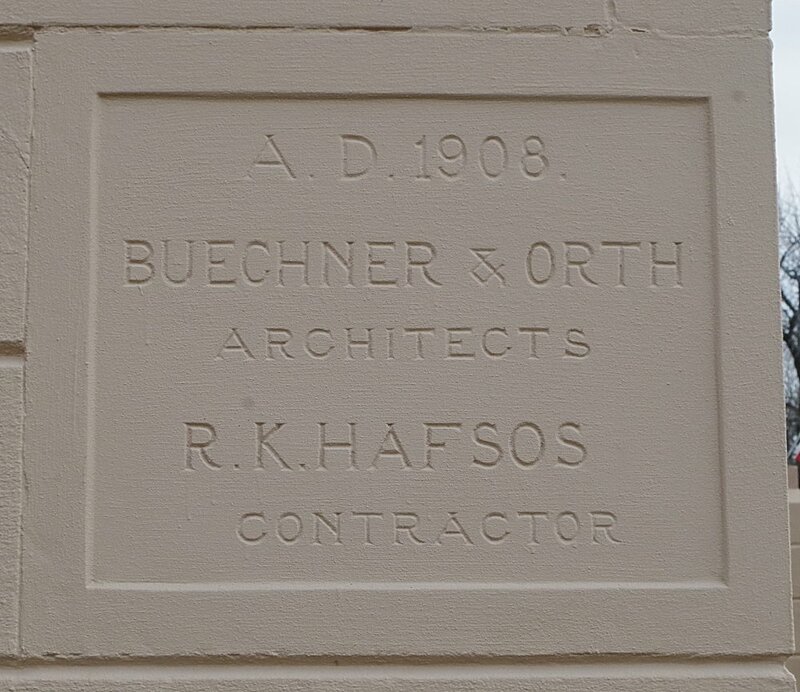 See: The architect Buechiner & Orth of St. Paul, Minnesota designed many courthouses. 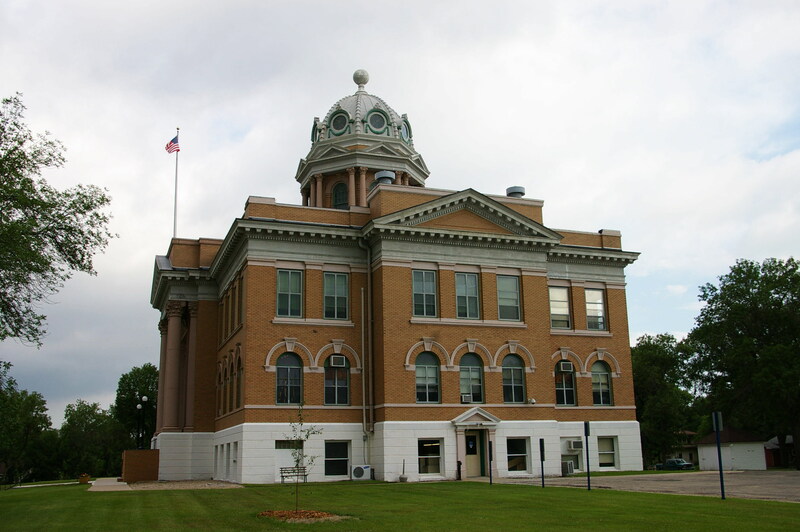 Note: The first courthouse was built in Grand Rapids in 1874. The building is located at the LaMoure Memorial Park at Grand Rapids. 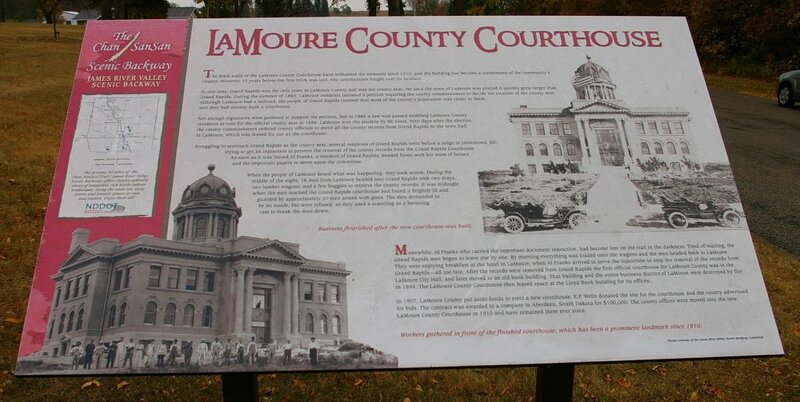 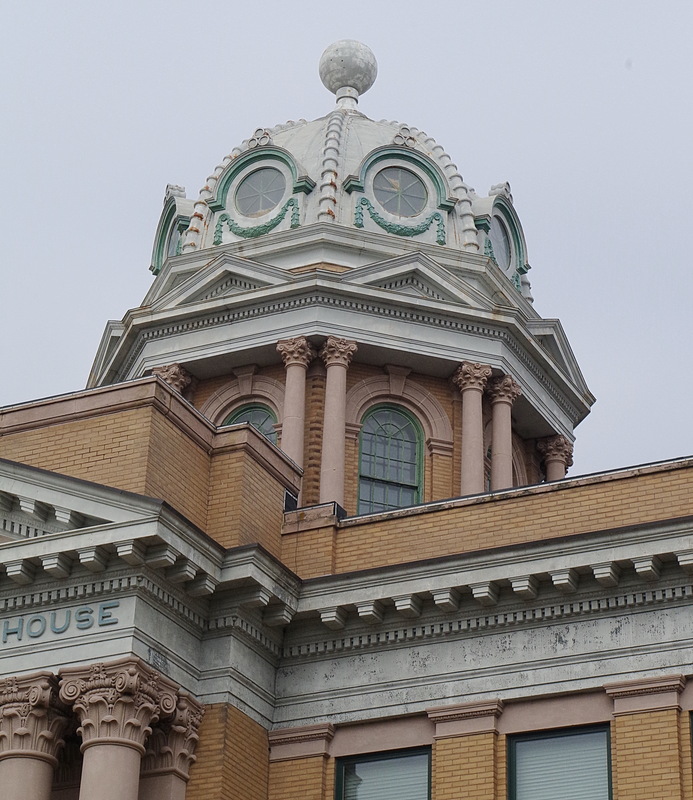 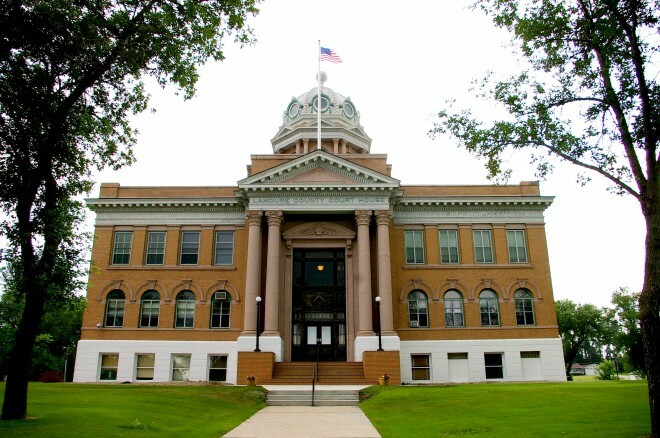 When the county seat was moved to LaMoure, the court was housed in the City Hall and a bank building. After a fire in 1894, the court was housed in the Lloyd Bank building.